Do not know what beach to visit with our companions? We will help you to understand this. The West of Tel Aviv goes to the Mediterranean Sea: 14 km during which 12 sandy beaches follow one another. In the winter season there are only 7 beaches, 4 of which can be walked with dogs without a leash, another 4 have free libraries. On all beaches, with the exception of Ha-Tsuk, the entrance is free, parking is almost everywhere. On many beaches there are lifeguards on duty, there are children’s areas, umbrellas, awnings, sunbeds (for an additional fee), bars and cafes. Most are equipped with simulators, beach sports are built. Local residents mostly visit the paid “Ha-Tsuk” which is removed to the north. 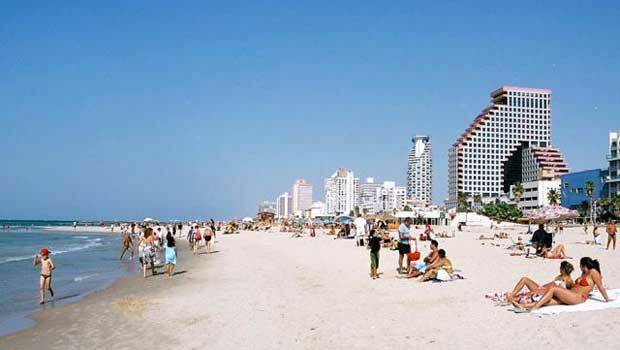 The next beach, with lawns, “Tel-Baruch” – is also considered a beach for dream. Beach “Matsitsim” – the owner of the Blue Flag – one of the cleanest beaches. Behind him is a small “Azmouth” where gays gather. Popular, albeit narrow, Beach Hilton is known for the most tranquil water. There is a surfing center, free parking. The tourist beach “Gordon” is famous for its swimming pool with sea water and entertainment for children. Beaches “Frishman” and “Bugrashov” are almost identical, offer a relaxing holiday almost in the center of the city. The largest beach and crowded, awarded the Blue Flag, “Jerusalem”, is chosen by all, and families with children, and tourists. Behind him is the recently updated “Aviv”, where there are no rescuers and it is forbidden to swim. The southern beaches are Charles Clore by the park, Barabashchikov at the dolphinarium and Givat-Aliya, which goes to old Jaffa, are relatively unpopular.